Test continuity of RJ45 data and telephone connection schemes on patch cords or on installed cable runs to identify: good connections, opens, shorts and cross-connections. Quickly and easily test RJ45, cable TV "F", RCA, and BNC cabling used in smart home installations. 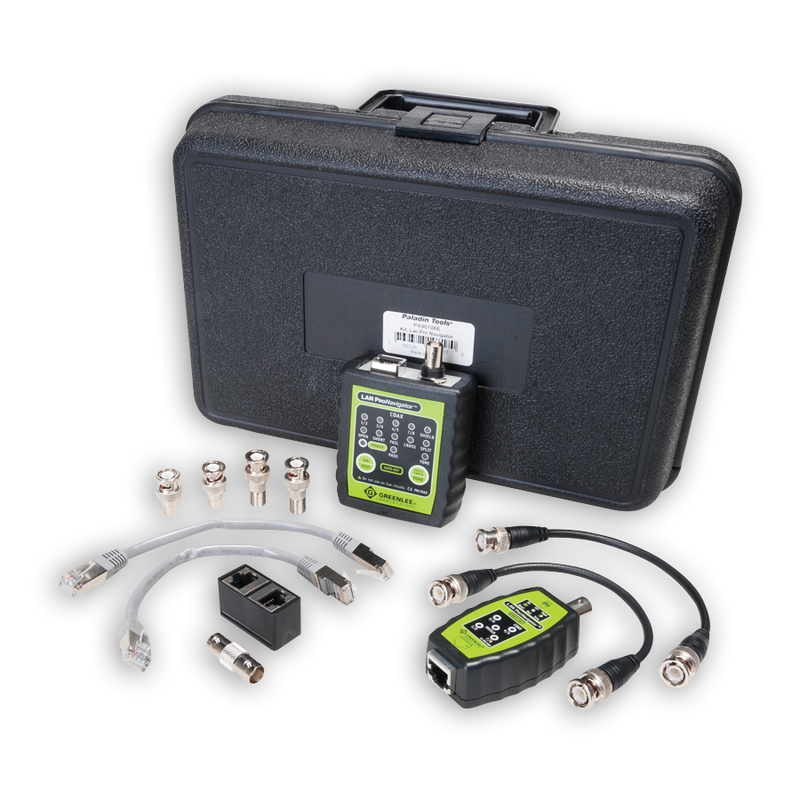 If you’re a technician on the go, you need the LAN ProNavigator™ from Paladin Tools! 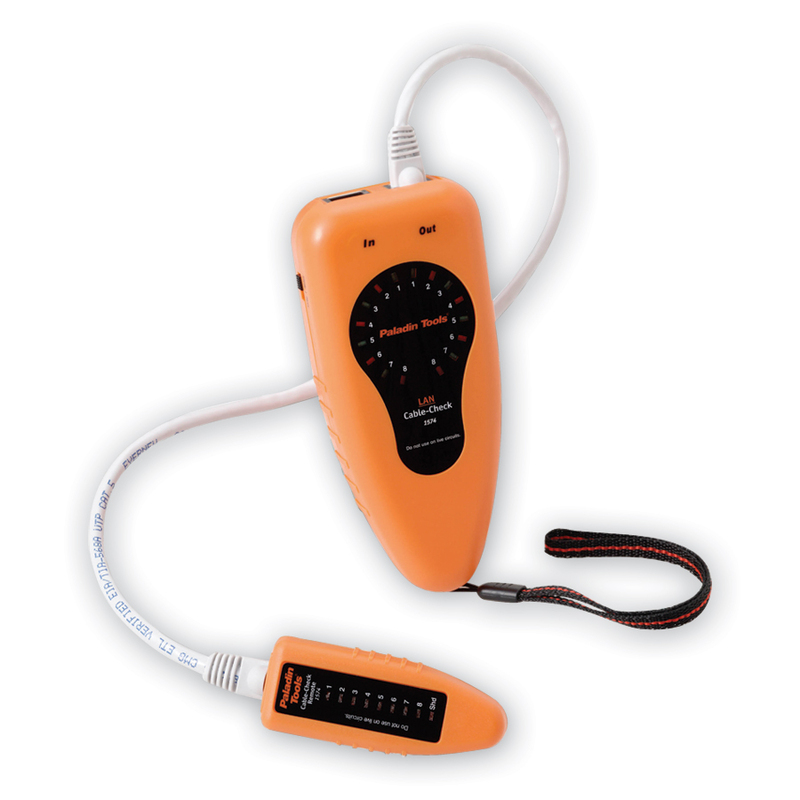 Two-piece tester includes main unit and remote with test results at both ends. - Simple PASS/FAIL Test Results in One Second Allows Technicians to Quickly Move on to the Next Test Site. - Generates Oscillating Audio Tone for use with Tone Probes to Locate Cables. - Tests Unshielded UTP and Shielded STP Data Cable. 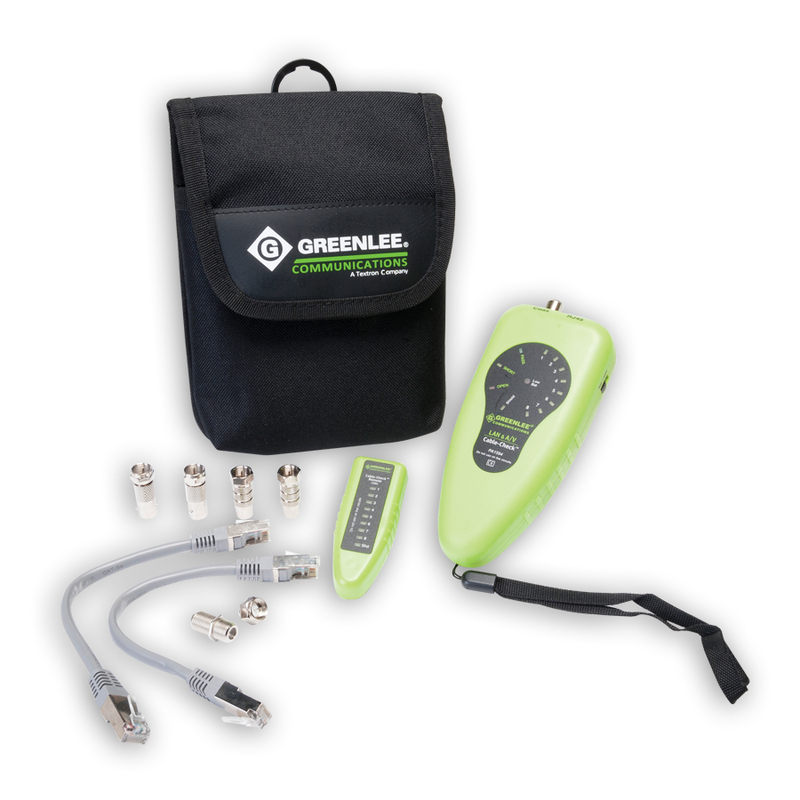 - Detects Good Connections, Open Connections, Crossed Wires and Split Pairs. - Tests Common BNC Connected 50 and 75 ohm Coaxial Cables up to 320 Feet (100 meters) for Continuity. - Tests Coaxial Cable Types RG58, RG59, RG6, RG6 Quad, Belden 8281, RG8, RG11 and More. - Shows Test Results at Both Ends of Cable. - Belt Clips Provided and Lanyard Holes Embedded in Case to Attach to Belt or Wrist. - Uses Standard 9-Volt DC Battery with Auto-Off Function to Preserve Battery Life.